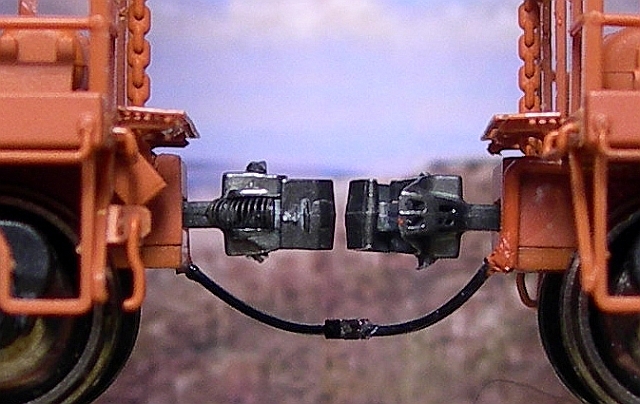 North American Railcar Corporation has taken prototypical model detail to the next level with the first automatic brake line system for model railroading available anywhere in any scale. It looks like the real thing, it couples like the real thing, and most importantly, it uncouples like the real thing. The NARC High Performance MagnaLock Brake Lines are available in 10 Pair Conversion Kits, and are available exclusively through Pacific Western Rail Systems. Now see them in action! Some of our more YouTube savvy customers may be aware of jlwii2000. For those of you who are not, he is a very active model railroader who reviews many of the products he uses on his layout. We sent him some of our new MagnaLuck Brake Lines for his review, and he has posted a very favorable YouTube review of them. You can watch it below, and go to his channel and check out some of his other reviews, they are very informative. 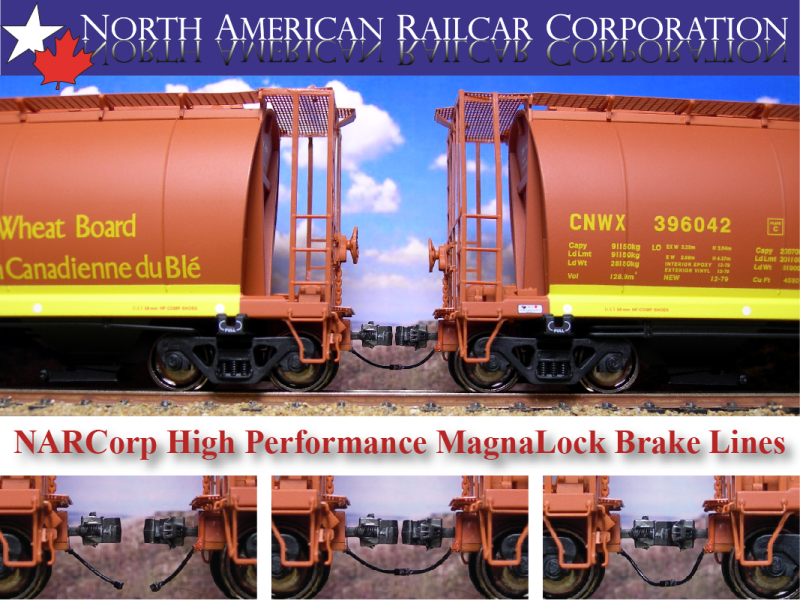 The North American Railcar Corporation High Performance MagnaLock Brake Lines were developed on a club size HO Scale layout using rolling stock and locomotives from a variety of manufacturers. The results have been overwhelmingly positive and even before the official launch, more than 20,000 pairs have been sold.